Plato, Socrates, Greece’s flag and a bleak future. Let’s do some fact checking on Greece on top of her crucial referendum. Q1: Does Greece have a mismanaged, inefficient economy plagued by corruption? Q2: Have the Greeks borrowed beyond their means, thus paving the way to get into serious trouble? Q3: Have they found in international finance willing lenders, namely German and French banks? Q4: Were these loans largely used to purchase foreign goods, mostly German, thus serving as a way to support German exports? Q5: Were the two Troika bailouts mostly used to rescue Greece and prop up her economy. A5: No, they were not. Q6: What was the main purpose then? A6: It was to repay the debts to the (mostly) German and French banks. Q7: So, was it first and foremost, a bank bailout? Q8: Did the bailouts also rescue the Greek economy? A8: No, they did not. Actually, Greece’s GDP has shrunk a staggering 25% since 2010. Q9: Did the bailouts contain and reduce Greece’s sovereign debt rate? A9: No, they did not. Actually, Greece’s debt climbed from 120% of GDP to 180%, and counting. Q10: Did the bailouts improve the prospects of the ordinary Greek? A10: No, they did not. Actually, the Greeks suffered salary and pension cuts of up to 25%. Q11: Did the Troika intervention do something to contain the social crisis in Greece? A11: No, it did not. Actually, it has significantly worsened it, with unemployment at 26%, youth unemployment at over 50% and widespread poverty, destitution and even hunger. Q12: Have the Troika and Germany changed their approach given the state Greece has fallen into? A12: No, they did not. Five years after of hardship and a bleak future, the recipe is pretty much the same: austerity, more loans, more debt, more taxes, more cuts in salaries and pensions and sparing the large companies from the national pain. Q13: Is there any hope it might work? A13: No, there is not. 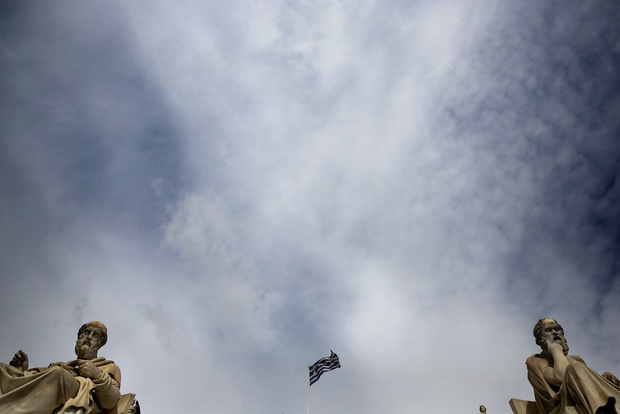 Greece will get nowhere without a functioning economy. The prescription emanating from Frankfurt, Brussels, Berlin and Washington will continue to decimate the Greeks. Q14: Why do they insist on it? A14: Hubris and dogma. Germany has imposed her economic dogmas on the continent and she is not about to back down. The way the Eurozone has been conceived guarantees a large market for the German export machine; if Berlin relinquishes control over it, the Germans will have a lot to lose. Q15: Should the Greeks vote “No” in the referendum? A15: Yes, I think they should. However, there is a lot at stake and I am in no position to say what people should do. What I know is that there will be even more hardship for the Greeks either way. Given a choice between poverty with oppression and poverty with dignity, I would go for the latter.